Fixing a Sears Craftsman lawn tractor can be a difficult task, especially if you have no idea how to fix a small engine. It can be made easier if you stay calm and having all the right tools handy. 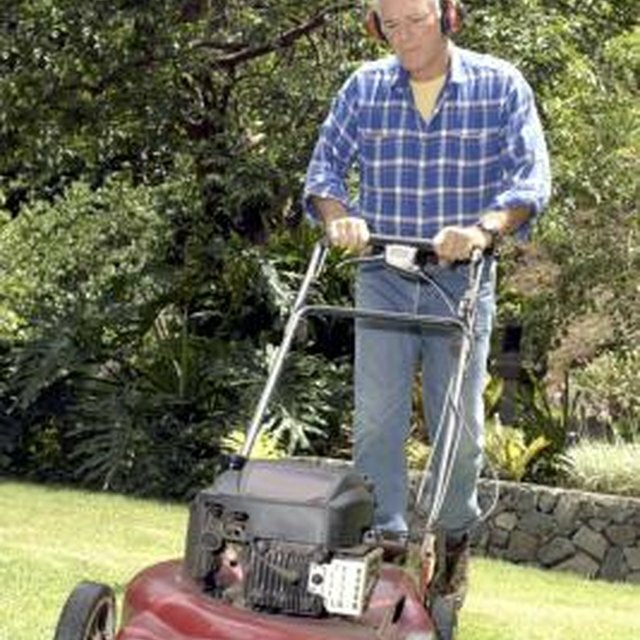 Craftsman lawn tractors are designed to have some parts replaced by the consumers, and the company includes trouble-shooting guides and instructions in its owner's manuals. Drain old gasoline and replace with fresh gas. According to Craftsman, old gasoline is the number one cause of a lawn tractor not starting the following season. Gasoline has a life span of 30 to 60 days. Check under the motor for any oil leakage. If there is, check where it is coming from. If it is under the motor, the motor will have to disassembled until you find the problem. Check the oil filter for any oil leaking. If there, use an oil-filter wrench to off the filter. Replace the filter with a new one, tightening it with the wrench. A new filter for a tractor bought within the last few years can be bought at a local Sears store. Inspect the fuel line, a long black hose that runs from the tank to the motor, for any holes. If there is, replace the gas line, which can be found at a local hardware or small-engine repair store. Sears will not carry these. Check the mower blades under the deck. If the blades are deformed, it can throw the movement under the deck off, causing the tractor to handle weird. Make sure the tractor is off before checking the blades. If they are damaged replace them with new ones bought at a Sears. A wrench, usually a 3/8-inch size, can take the hardware off to replace and attach the new blade. Check the tires to make sure they are at the optimum pressure in the owner's manual. Under-inflated tires will make the tractor feel sluggish and unresponsive. Optimum pressure is around 30 to 35 lbs. If you have questions that are not in the manual, call the Craftsman help line at 1-800-469-4663. The blades are sharp and can be dangerous. Be sure to always have your motor turned off when doing any repairs.